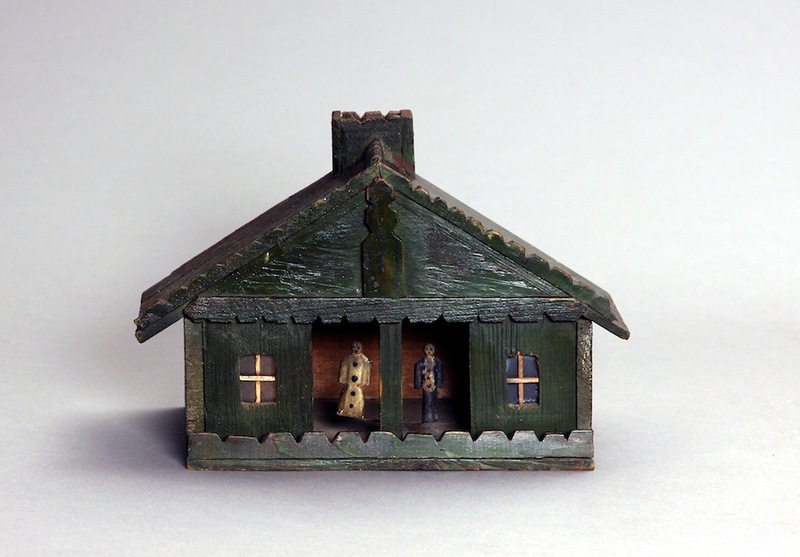 A collection of Welsh folk art and objects from the estate of renowned Welsh dealer, the late Gerald Oliver, will go on sale this month from accredited LAPADA dealer, Tim Bowen Antiques. The collection, which includes some unusual items mostly from west Wales and dated from 1690s up-to the 1890s, has not been seen on the market for the last thirty years. Dealer Gerald Oliver ran a successful antiques business in Haverfodwest, Pembrokeshire, from the late 1950s until 1999. He dealt in a wide range of antiques and was known for good quality, interesting items from west Wales, including folk art and objects. 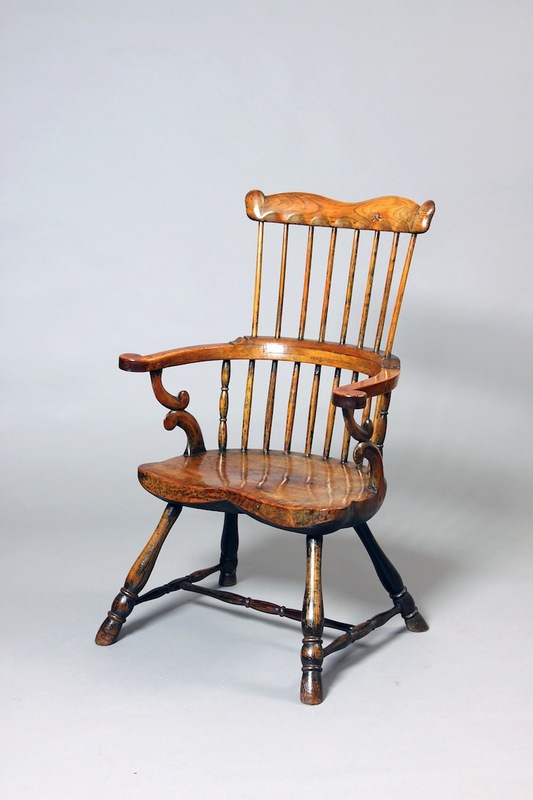 He had an excellent knowledge of Welsh furniture makers and was popular with collectors. Please find a link to his obituary. Of particular interest are three primitive Welsh stick chairs, illustrated in the only book ever written on the subject, Welsh Stick Chairs by John Brown, published by Abercastle Publications in 1990. Other items include a rare 17th century Yew-wood chest, a Welsh folk-art weather station, decoy pigeons, model ships, a lambing chair and a rare 17th century candleholder. 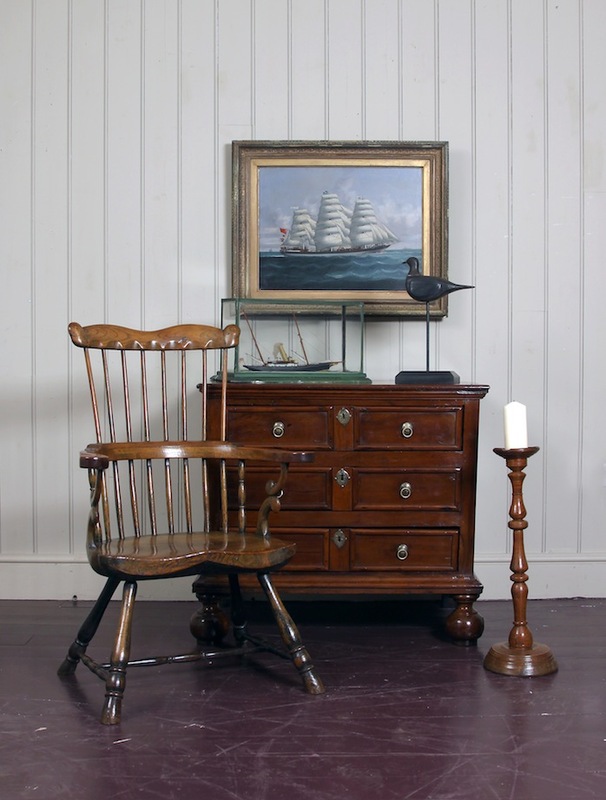 Tim Bowen Antiques specialises in selling Oak & Country furniture and folk art, with an emphasis on items from Wales. The gallery is in the estuary village of Ferryside in Carmarthenshire, West Wales.